As a family medicine clinic we manage and treat chronic medical conditions, i.e. : diabetes, high blood pressure and elevated cholesterol as well as most other conditions that require close follow up. We also make it a top priority to focus on preventative health care by reviewing with our patients, at each age appropriate visit, the need for things like mammograms, pelvic exams, prostate evaluations, and colonscopy. We provide services for well child checks, well woman exams, school and sports physicals and can perform simple lab tests in-house or send the labs out when necessary. We have state-of-the-art electronic medical records, which have been shown to improve medical management and decision-making and are able to easily refer patients to specialists for additional evaluations. Dr. Morrison grew up in Snohomish, Washington, just outside Seattle. He obtained his undergraduate degrees in Cellular Biology and Spanish from the University of Washington, where he lettered in football as a wide receiver. Steve attended medical school in southern California at the Western University of Health Sciences of the Pacific, and completed his residency at the University of Southern California. It was there that he met his future wife, Julie, who was studying dental hygiene at USC. They met on a blind date, and were married a year later. After they both graduated in 2003, they moved to Colorado. They now live in Parker with their three children. They love spending time with their kids riding bikes, skiing, fishing, and enjoying all that Colorado has to offer. Ms. Mattie grew up in Wisconsin and fell in love with Colorado in high school after spending time hiking and mountain biking in Crested Butte. She received her bachelor’s degree in psychology at Colorado College in 2003 and went on to obtain a Master’s in Physician Assistant Studies from Pacific University in Oregon in 2007. Cora initially started practicing medicine in a rural underserved area in Iowa where she specialized in Emergency and Urgent Care Medicine for just under 5 years before moving back to Colorado in 2011. 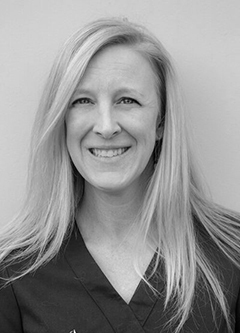 She has been practicing Family and Urgent Care Medicine around the Denver area over the past 7 years. Being back in Colorado allows her to enjoy running, hiking with her golden retriever named Keely, and skiing. Lindsay grew up in Brookfield, Wisconsin and attended the University of Wisconsin-Madison where she earned her Bachelor’s degree in biology in 2014. 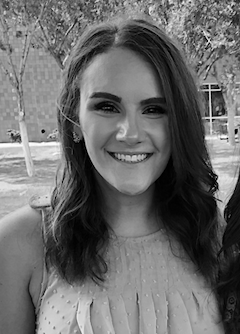 She then went on to receive her Master’s in Physician Assistant Studies from Midwestern University in Arizona in 2018. She spent her final rotation of PA school in the Denver area where she came to love the city and decided to move to Colorado. She has always dreamed of practicing Emergency and Urgent Care Medicine and is excited to be a member of the 20 Mile team. In her free time, she enjoys hiking, concerts, running, and cheering on her Wisconsin sports teams.